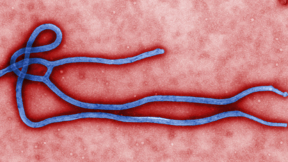 Twenty human subjects became participants in clinical trials for an Ebola vaccine. Almost 2300 people have died from the disease since January 2014 when an outbreak of the disease began and spread through western Africa. In an animal study, four crab eating macaques showed immunity to lethal doses of the virus when they were inoculated with a vaccine. According to the National Institute of Allergy and Infectious Diseases (NIAID) of the NIH, the vaccine "...is a chimpanzee adenovirus vector vaccine into which two Ebola genes have been inserted." The NIAID has developed the vaccine in a collaboration with pharmaceutical company GlaxoSmithKline. The results are promising. Five weeks after getting the vaccine, monkeys who were then exposed to lethal doses of Ebola remained healthy, with the immunity appearing to last for several months. Ten months post-vaccination, more than 50% of the macaques exposed to the virus got sick. Researchers found that a follow-up booster extended the animals' immunity. The first human participant in a clinical trial of the vaccine is a 39-year-old woman. The fast moving epidemic has caused international health authorities to move quickly toward identifying cures and vaccines. The World Health Organization published its Ebola Response Roadmap in August in which it recommends fast track development, testing, and deployment of effective therapies and vaccines against the deadly disease. The organization's Ebola goal is two-fold: stop the spread of the disease in the effective areas within 6-9 months and prevent its spread internationally. 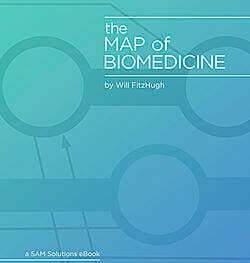 For more on how therapies and vaccines make their way to patients, you can follow our blog series on the Map of Biomedicine. Image Source: The Centers for Disease Control and Prevention.